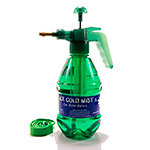 Welcome to Ice Cold Mist.com! We offer a wide range of personal cooling products designed and manufactured to help you stay cool all year round, especially during the hot summer months. Thank you for visiting our store, please let us know if you have any questions or would like to place an order. Our personal bottle misters are lightweight, portable and simple to use making them a great way to beat the heat wherever you go. Pump bottle misters are perfect for cooling off at kids' sporting events, tailgate bbqs, outdoor picnics, a day at the beach or just plain old fashion back yard fun. The original personal mister bottles are competely adjustable and can provide a fine cool mist or pressurized continuous stream of cool water that can shoot up to 30 feet making them the leading personal cooling device. We offer team and league discounts, as well as bulk wholesale pricing on our bottle misters. 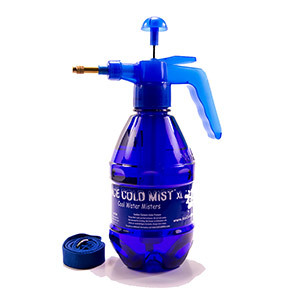 Unlike other cheaper spray bottle misting fans, Ice Cold Mist personal spray misting bottles work with air pressure which means no batteries, electronics or wires to worry about. 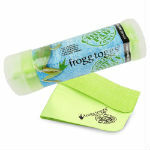 It also means they are completely waterproof and submersible. Personal misting bottles can be used in the pool, at the lake or even in the bathtub without the worry of them getting wet, falling into the water, or breaking like other battery operated portable personal misting fans. This is one of the main reasons that Ice Cold Mist personal misters receive the best customer reviews and online feedback. We also offer many other products to help you beat the heat and keep cool, including outdoor misting fans, E-Z Up Quik Shade canopy tents, folding utility wagons and dancing LED water speakers. Outdoor patio misting fans will keep you and your friends cool at your next backyard bbq, picnic or tailgate party. 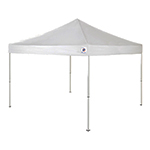 EZ Up Quik Shade structures create portable instant shade wherever you need a cool shaded area. Portable folding utility and beach wagons are light weight yet and durable. You can use them to carry all of your beach toys, pop up tents, chairs and towels, lawn and garden supplies, or camping and sports equipment. Our Leading Edge original dancing LED water speakers are the most fun and unique water speakers available today. The multi-colored streams of water will literally dance to the beat of the music. You will be the hit of the party with your dancing water speakers!